Members of Congress, especially the House, spent most of the month of January on business in their home districts. Tom attended a NIH/NINDS meeting entitled “Parkinson’s Disease 2014: Advancing Research, Improving Lives” and distributed ET handouts to increase awareness about the differences between ET and PD. All the IETF brochures displayed were gone before the end of the day. If the weather cooperates, February may be a better month for reaching out, creating greater awareness and educating more of congress. The month of August is typically a quiet time in Washington, DC, owing to the heat and humidity and with Congress out of session for its summer recess. The leadership of both parties are dividing its time between home and Capitol Hill but no business will be conducted until the members return on Monday, September 8. Nevertheless there was some activity this summer. With help from the IETF Executive Director, Catherine Rice, I was appointed to the Advocacy (legislative affairs) Committee of the American Brain Coalition (ABC) and participated in its late July teleconference. The ABC brings together afflicted patients and their families, caregivers, and the professionals that conduct research and treat diseases of the brain to leverage their combined resources to improve the quality of life for all people affected by brain and nervous system diseases. The Committee’s goal is to be a united voice for these people, and to work with Congress to alleviate the burden of brain disease. I also visited health staff in the offices of Sens. Kelly Ayotte (R-CT) and Joe Manchin (D-WV) who serve on the Senate’s Special Committee on Aging. While special committees have no legislative authority, they can study issues, conduct oversight of programs, and investigate reports of fraud and waste. The Special Committee on Aging has served as a focal point in the Senate for discussion and debate on matters relating to older Americans. Often, the Committee will submit its findings and recommendations for legislation to the Senate. In addition, the Committee publishes materials of assistance to those interested in public policies which relate to the elderly. Both Ayotte’s and Manchin’s offices were especially interested in essential tremor and the work of the IETF, and were eager to be helpful. I forwarded their business cards to the IETF for follow-up. In the meantime, I have another eight requests for appointments pending. Shortly I will begin contacting members of the Congressional Neuroscience Caucus, a bipartisan group developed to promote a better understanding of how the brain develops, functions, and ages, to introduce them to ET and the IETF. Each year the National Institutes of Health and the National Institute of Neurological Disorders and Stroke (NIH/NINDS) invite members of key nonprofit organizations to attend the Institute’s Nonprofit Forum. The Forum provides an opportunity for nonprofit leaders to network with colleagues and to engage in discussions with NINDS staff. Tom represented the IETF at this year’s Forum entitled Progress through Partnership. He met with several members of related nonprofits, encouraging them to join the IETF on future visits to members of the Senate Committee on Aging. Unfortunately, they were unable to join Tom for his most recent appointments to influential committee members. 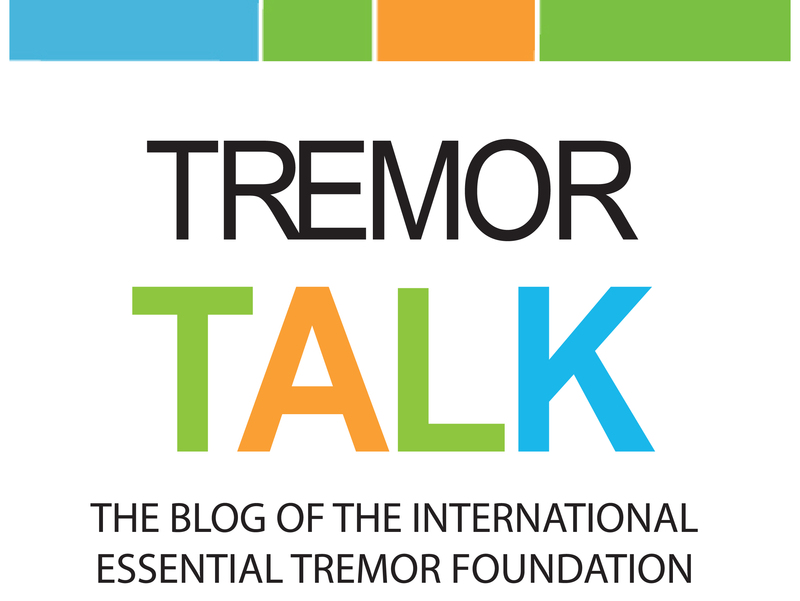 We are hopeful that future collaboration will help reaffirm the needs of the essential tremor community. Reaching out to other organizations is a key factor in bringing neurological conditions to the forefront of conversation. Tom contacted Mr. Ted Thompson, the new president of the Parkinson’s Action Network (PAN). PAN has a unique structure as the one organization in Washington, DC advocating on behalf of the entire Parkinson’s community. Tom met with Mr. Thompson to learn more about the direction PAN will be moving under his new leadership, to update PAN on IETF activities, and to explore opportunities for cooperation and collaboration. Tentatively the two will meet in early November. With Congress out of town through the second week of November, there are many opportunities to schedule meetings with key Senate staff to discuss essential tremor. In late September, Tom visited the health staff of Sens. Orrin Hatch (R-UT), Jeff Flake (R-AZ) and Dean Heller (R-NV), members of the Senate Committee on Aging, to educate them about essential tremor and request that they place essential tremor and increased funding for the (NIH/NINDS) on their policy agendas. While special committees have no actual legislative authority, they can study issues, conduct oversight of programs, and investigate reports of fraud and waste. Throughout its existence, the Special Committee on Aging has served as a focal point in the Senate for discussion and debate on matters relating to older Americans. The staff was receptive to the information Tom provided them. They were very grateful to have such up-to-date information and offered to be of assistance in the future. In October, Tom participated in the American Brain Coalition’s (ABC) Advocacy Committee conference call. The ABC Advocacy Committee works to increase funding for research at the National Institutes of Health (NIH), looks to improve health care for chronic brain conditions, promotes federally funded stem cell research, and supports the ethical treatment of animals in research. Tom is a member of this important committee and ensures that the needs of the essential tremor community are heard. Tom also spent some time talking with the staff of Senators Richard Blumenthal and Susan Collins, ranking members of the Senate’s Special Committee on Aging. Tom took the time to explain essential tremor to them; the challenges, public perceptions and the facts. He urged them to follow issues pertaining to neurological disorders like ET and to get involved. He also encouraged them to keep up-to-date on NIH research. 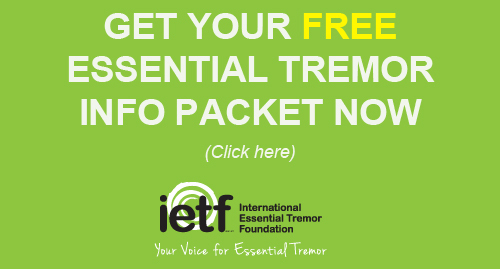 And even though the rest of us are looking forward to some time off for the upcoming Thanksgiving holiday next month, Tom will be making appointments; each one, an opportunity to bring greater awareness to the IETF and the millions of people affected by essential tremor.